From first contact at Dr. Wilson High Tech Family Dentistry, our Calvert City dentists are committed to your individual attention and strive to provide personalized oral health care tailored for your unique dental needs and goals. We work hard to create the ultimate stress-free and comfortable dental experience. Your health and comfort are our top priorities, and we do what it takes to help every patient understand their symptoms and treatment options in a relaxed office setting. 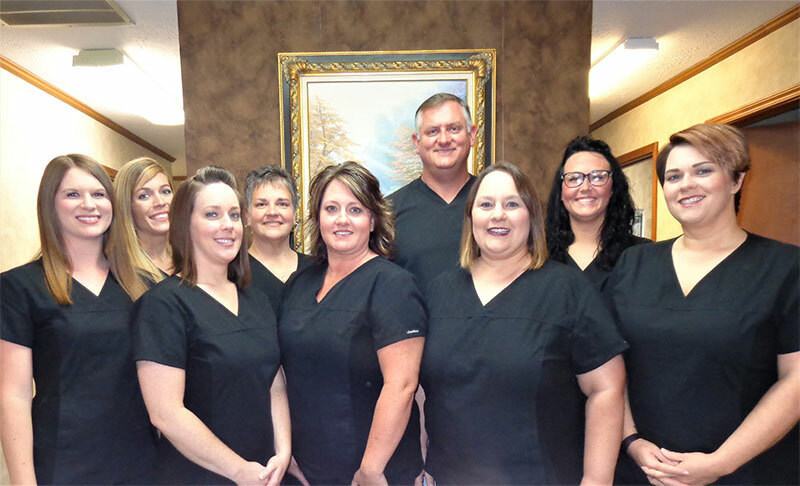 It is our mission to educate and provide our patients with the best dental care in Calvert City. For that reason, we’ve designed this website to provide you with all of the important information you need to make healthy decisions about your teeth and gums. We encourage you to browse our office page, service details and patient education library whenever you have a question about our practice or your oral health. Achieving quality dental care shouldn’t be difficult, so at Dr. Wilson High Tech Family Dentistry we make it simple to achieve your healthiest, most beautiful smile. Whether you are looking for information on general dentistry, teeth whitening, crowns, preventive care, or periodontal exams, you can learn more about all of your options from our services page. For your convenience, you can also request an appointment online with our Calvert City dentist and download patient forms directly from our website. Feel free to contact our Calvert City office with any questions. We look forward to making each visit to our office a positive experience. I grew up in Calvert City. I went to Murray State University for my undergrad education and was accepted to the only dental school that I applied for, the University of Kentucky, on my first application. I have practiced in Calvert City since I graduated in 1995. I went into practice with my mentor and childhood dentist, Dr. Gary Smith. I have three children, Brandon, Brooke, and Justin. I also have a grandson Merrick. My wife and I have 4 dachshund children and we foster additional ones. Usually about 4-6 per year. My beautiful wife, Emily, and I have lived in Marshall County during our entire marriage. This is our home. 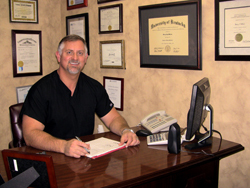 My goal in my career is to provide the best treatment possible for each of my patients with the most comfort possible. I keep up with the latest technologies in dentistry that will provide this type of treatment. Dentistry has changed tremendously in the years that I have practiced. I love the improvements that have been made, which make my job easier and the service that I provide so much better for my patients. I truly care for my patients and enjoy the time that I get to visit and spend with them. If you are a perspective patient, I look forward to meeting you and having you join our big extended family.